Though dust was our constant companion spirits were high as we drove down the rocky road for our afternoon game drive. Mainia doubled his duty and became tour guide as well as driver pointing out wildlife during the trek in Samburu. 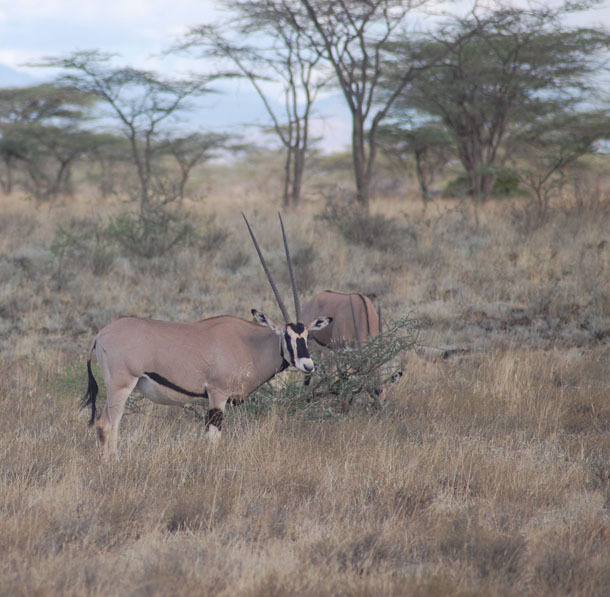 Anxiously we waited, standing in the van, the raised roof allowing us a great view and then our first sighting, an oryx. This stately hooved beast paid no attention to the excited women snapping photos and soon trotted off to join his friends. 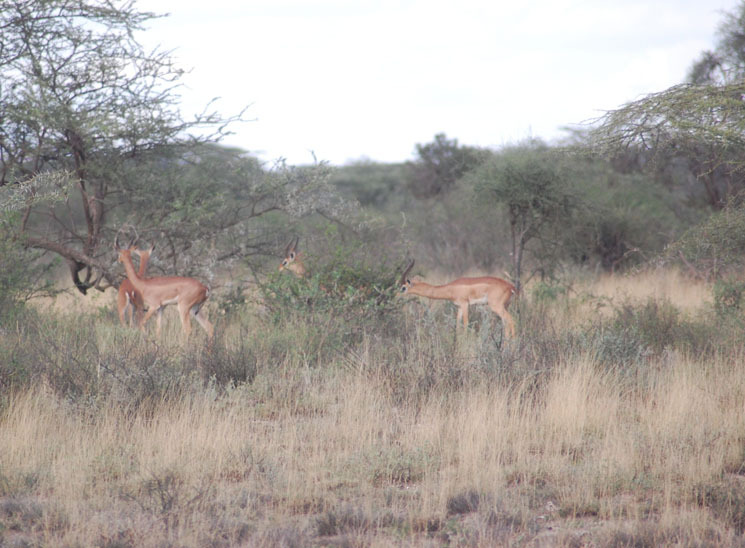 That was beginning of a wonderful afternoon of antelopes and gazelles filling the savannah almost posing for our cameras. 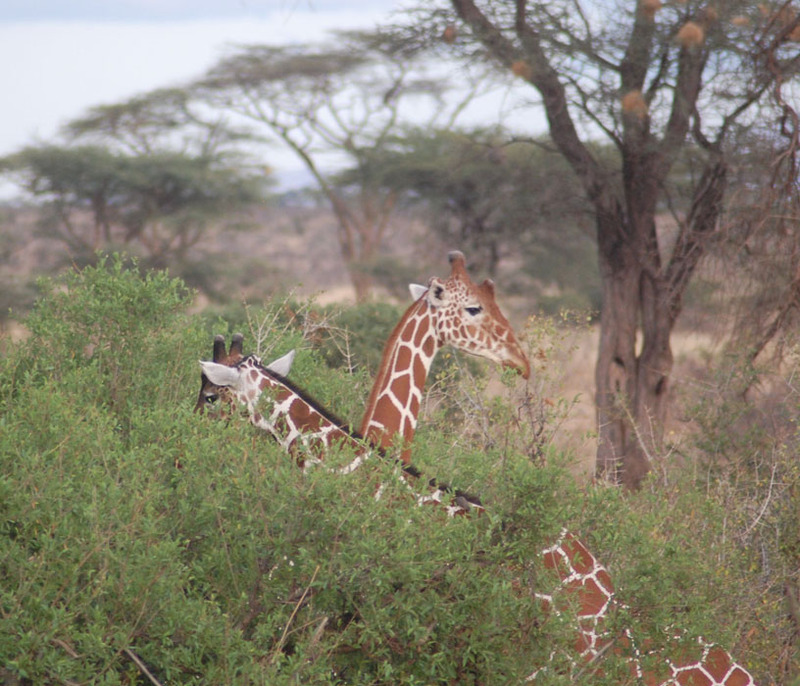 And then the highlight, a dream fulfilled for Sally, the long neck and brown patches were unmistakable. A giraffe, just yards away from the van nibbled on the leaves of a tree, took a moment to nuzzle with a friend and then returned to his afternoon snack. As dusk crept in we headed back with a reward, an ostrich family, also heading home, crossed our path, the large black and white dad leading more than 20 chicks with mom bringing up the rear. The drive ended on the same high note on which it began.